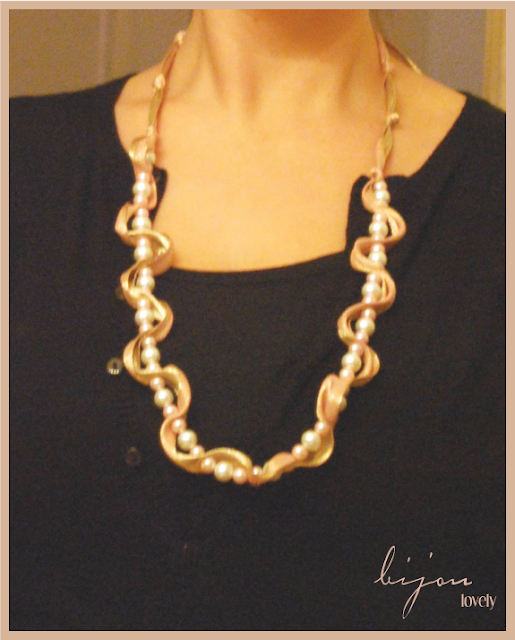 Bijou Lovely: lovely designs: ribbons and pearls. 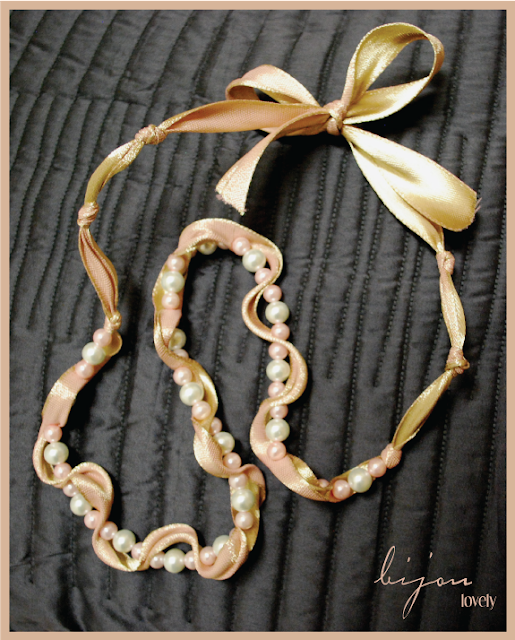 4 lovely designs: ribbons and pearls. I do a lot of craft projects but I don't have much to show for it. I typically make all (or at least most) of my gifts for other people but I never keep anything for myself. My birthday is coming up soon and my husband so kindly reminded me today that I am going to be old. As in, 26. So in honor of becoming old I made a little birthday gift for myself! I've been considering starting an Etsy shop and if I do, I think a few ribbon and pearl necklaces will be listed in the shop. My love for ribbon and pearls is a little unhealthy, and the two of them together are a match made in heaven! I hope you had a lovely birthday!!! And your necklace is very pretty! I say go for it with the Etsy shop! That necklace is really beautiful! You should put up a tutorial on how to make it!